Life is precious – help us to save lives? The Commandery of St John in the Bailiwick of Guernsey is formed of several subsidiary companies working together to provide one consistent service to the community. 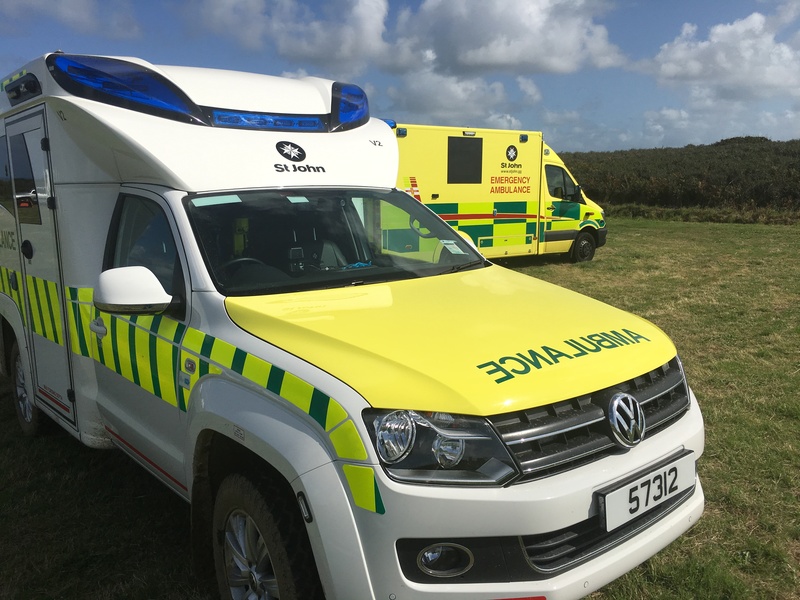 St John Emergency Ambulance Service provides emergency pre-hospital care to the community in Guernsey with a a road ambulance service and the provision of paramedics. It also operates a patient transport service, marine ambulance (the Flying Christine III), community first responder scheme and an ambulance reserve. St John Guernsey provides voluntary first aid cover for community events along with youth services to teach young people first aid. St John Guernsey attends about 150 events each year and our volunteers collectively give up around 2000 hours of their time annually. St John Training Services is the Bailiwick’s leading provider of first aid training. Originally formed in 2005 as collaboration between St John Ambulance Guernsey and the St John Ambulance and Rescue Service our professional trainers are qualified to the highest standards to teach life saving skills. They are drawn from members of your community including the emergency services, health and teaching professions. St John Training Services Guernsey is a ‘not-for-profit’ organisation. The income we receive from the training courses we provide goes straight back into supporting the St John. The St John HealthCare & Shop offers a wide range of health care equipment both for sale and also to hire along with various first aid supplies. While our organisations operate separately; they work together as part of the Commandery of St John in the Bailiwick of Guernsey to provide a trusted and reliable service to the community.